Keyword stuffing : The excess use of key words in in the content is known as Keyword stuffing. In Keyword stuffing same keyword is repeated in the whole content in order to get higher ranks in the search engines. Invisible Text : This technique is used by sites for which ethics are of no use. In this technique the keywords are made of the same color as the background so that search engine spiders can find them but are not visible to the general visitors. Doorway pages : This technique is against the ethical SEO rules. Doorway pages are the pages that are can be seen by the search engine spiders but are invisible to the generally visitors. They are used only to get higher rankings in the search engines by tricking them. It is not a good way because it hurts the visitors who visit to the site to see some quality content but what they see is the keyword stuffed pages. Cloaking : This method is used to cheat the search engines in order to get good ranks ion the search engines. It is done to get good rank for certain keywords. A user identified as search engine is shown a specifically prepared and optimized website with only purpose to rank well for desired keywords. If a user is not a search engine they are presented with the “real” websites content which is often spammy and of lesser quality. Cloaking is also used to trick users to visit websites based on their description in search engines. For example a user searching for a particular product could click on a website in search engine due to its description and title. The site in question will not be the one described in SERP’s. It can be totally different or irrelevant. RSS Spamming : Now a days many people use their RSS freed in comments instead of their blog’s URL. What it does is that if some visitor only wants to visit your blog to see it but due to RSS spamming he has to subscribe to your freed. By doing this their IP can be black listed from any site in a click. 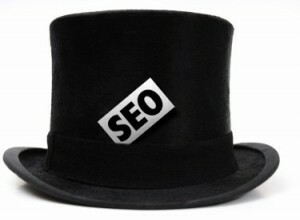 Black hat SEO is not a good idea. Because Search Engine Spiders can catch you and your site can be banned from various search engine rankings. It may look like a good idea in the initial stages but for the long run it is not good at all. Is Black Hat Unfair? Yes Black Hat is an Unfair mean of practicing SEO because it does not follow the rules and regulations followed by the ethical SEO . 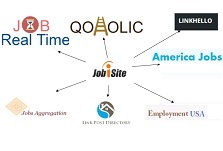 Black hat make search engine spiders and general visitors to visit the sites which are having poor content. This gives not a very pleasant experience to the visitors. So Black hat practice should not be used.